Our colleagues at Wiley-Blackwell have pulled together a splendid set of papers from across the disciplines to mark the Rio+20 United Nations Conference on Sustainable Development. 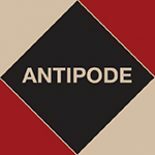 Antipode has contributed papers on four of the seven ‘critical issues’: energy; sustainable cities; food security and sustainable agriculture; and water. The papers are freely available online both here and below. This entry was posted on 22 June 2012 by Antipode Editorial Office in Other and tagged Angola, emissions trading, energy, farmed fish, food security and sustainable agriculture, human right to water, neoliberalism, pesticide use, planning justice, Rio+20, sustainable cities, the new carbon economy, Transition urbanism, United Nations Conference on Sustainable Development, urban political ecology, vulnerability to climate change, water, water governance.